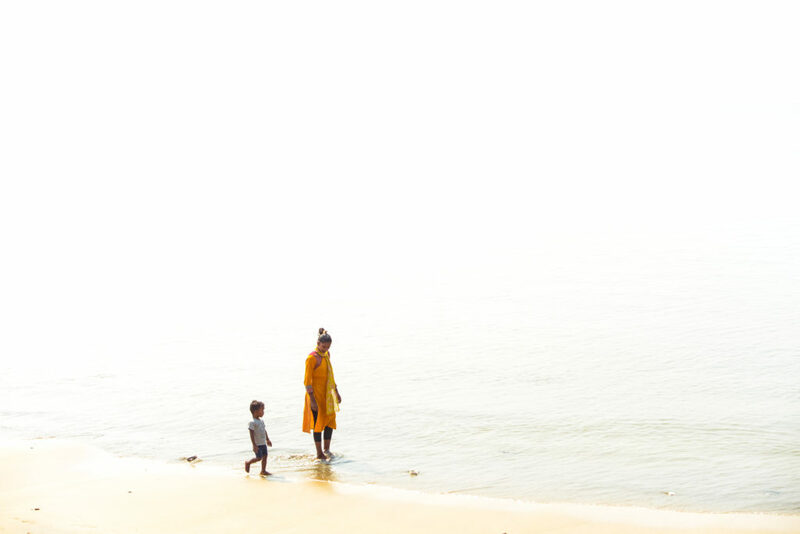 Mumbai is a captivating city with a mix of cultures, religions, smells, tastes and landscapes. A huge mosaic that has something different to offer you as soon as you get out from the hotel. Below you can find a short description of the places I visited and some tips. As soon as I arrived at the airport I withdrew some money. In some restaurants and shops you can pay by card but it’s always very useful to get some cash for paying things such as taxis or a bottle of water (avoid tap water). Regarding the taxis, I suggest negotiating the price before getting into the car or ask the driver to use the taximeter (sometimes they don’t use it and then they ask for a big amount once you have reached your destination). Taxi is cheap and the best way to move from one point to another in the city despite the huge traffic jams. Public transport seems to be too complicated so I didn’t take any bus. 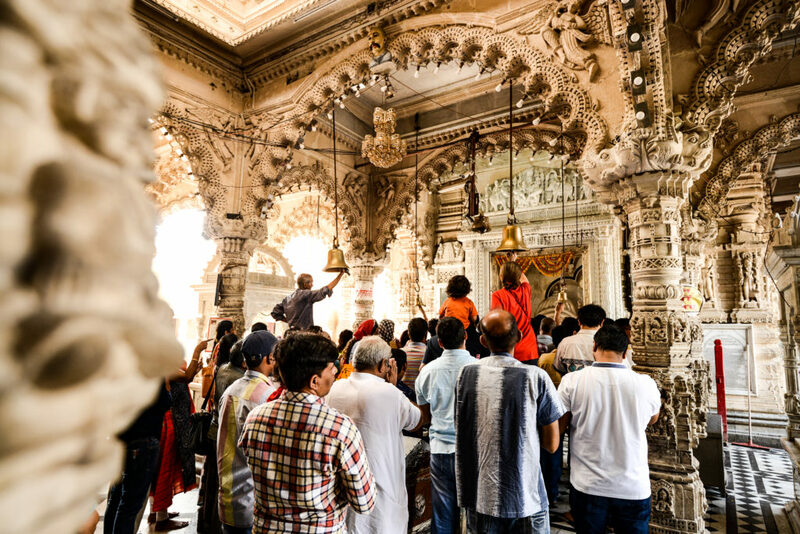 Mumbai has many temples so you need to be selective if you don’t have a lot of time. My favourite one was Babulnath temple. Babulnath temple during a ceremony. It’s located in a nice area with nicely decorated columns and walls, also the atmosphere in the temple is just magical. From the temple, you can reach the top of a hill through big stairs and take a look at the silence towers. The silence towers are rounded buildings used by the Zoroastrians (a religion and philosophy based on the Iranian prophet Zoroaster). In these buildings, the dead bodies are placed and are exposed to scavenger birds. By doing this, the body touches neither fire nor earth that are holy elements for the Zoroastrians. 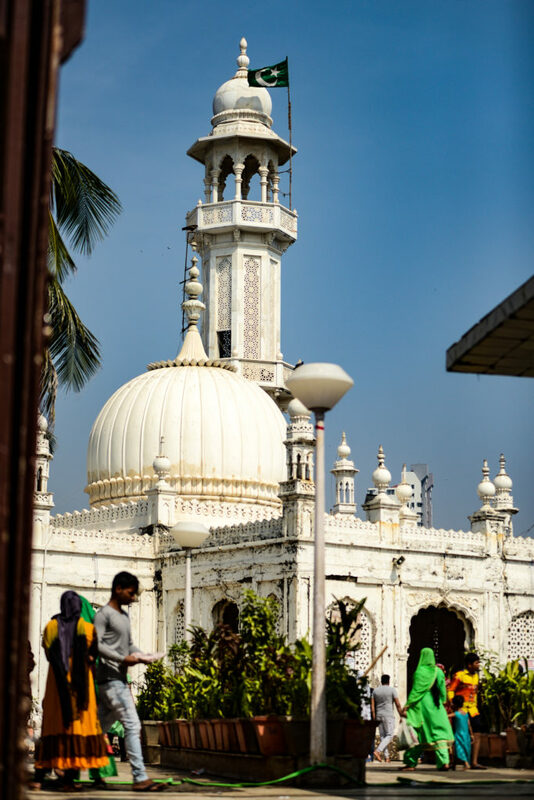 The next interesting building to pay a visit is the Haji Ali, a mosque built in a little island and linked to the city through a long walkway where poor and sick people beg for some coins. 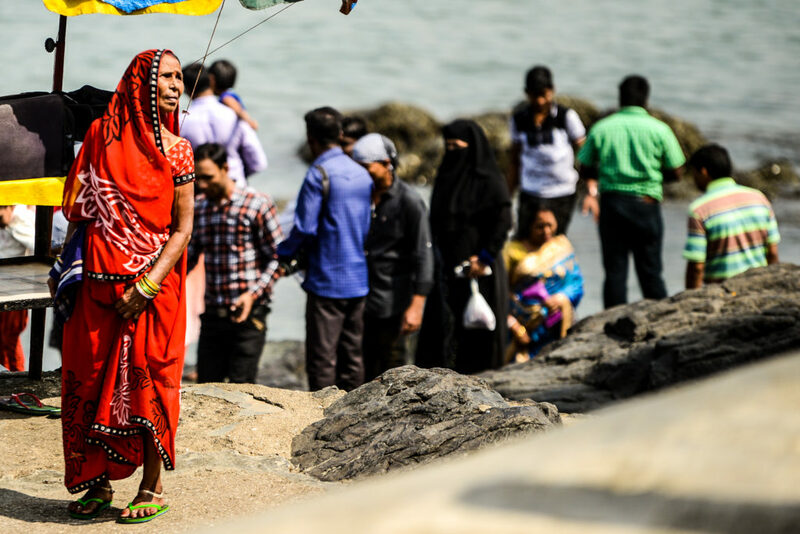 Many people spend the day at Haji Ali, they organize a picnic or take a bath. The mosque is interesting because of the diversity of the people who visit it and also the beauty of the building, especially during sunset. View of the mosque Haji Ali from the entrance. The most popular temple in Mumbai is Mahalaxhmi however. Most of the times it’s crowded making quite difficult to reach the part where the golden gods are placed. I was able to see it from the distance but I was a bit disappointed. 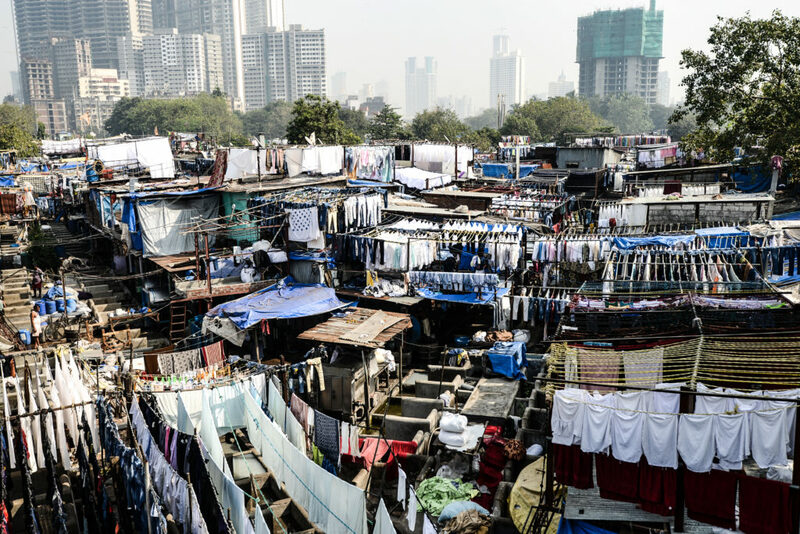 The Dhobi Ghat is another nice spot to be discovered. It’s a huge laundry in the middle of the city. It’s worth it to spend some time wandering through the narrow streets with sheets, towels and other clothes hanged out. It’s not allowed to take pictures inside Dhobi Ghat but from a nearby bridge you can do it. View of Dhobi Ghat from the bridge. 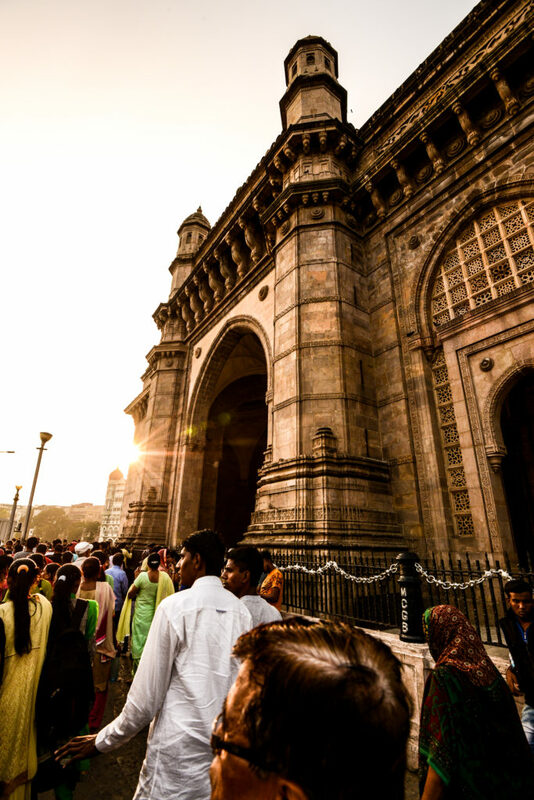 The most emblematic building of the city is the Gateway of India. A huge gate that was built for the visit of the King George V and the Queen Mary in 1911. Sunset at the Gateway of India. Behind the gate, you can find a small harbour with boats that bring you to Elephant Island. In the island, there are some caves used for centuries as religious places. Unfortunately the day I planned to go there the caves were closed (avoid Mondays). 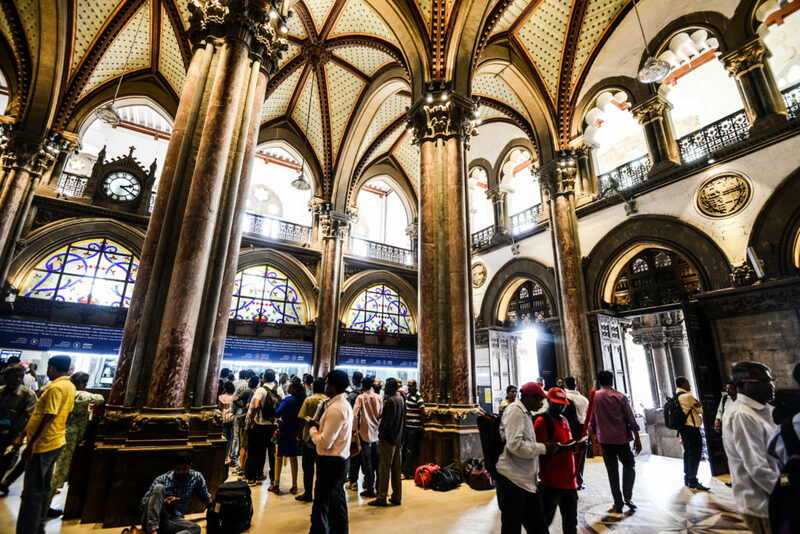 The Victoria Terminus railway station is an amazing building and it’s really worth it to walk around. Inside of the Victoria Terminus railway station. They are also interesting the Rajabai tower and the surroundings (if you have time take a look at the Crawford market). 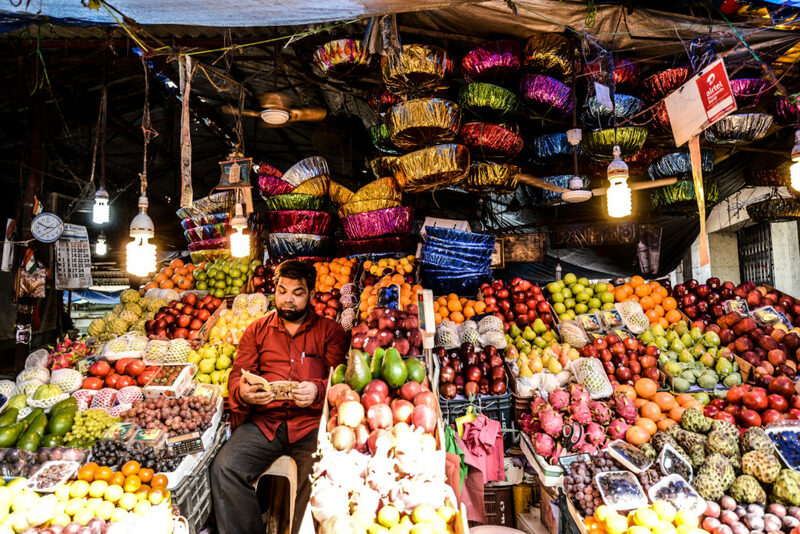 Man reading in one of the stands of the Crawford market. When one is tired of walking through the crowded streets or visiting temples, the Gandhi house-museum could be a fantastic idea. I really loved it. It contains texts, images, speeches and objects from Gandhi. It’s a great place to know more about this unique man who changed the life of so many people. Finally, you cannot visit Mumbai without seeing the Dabbawalla’s work. 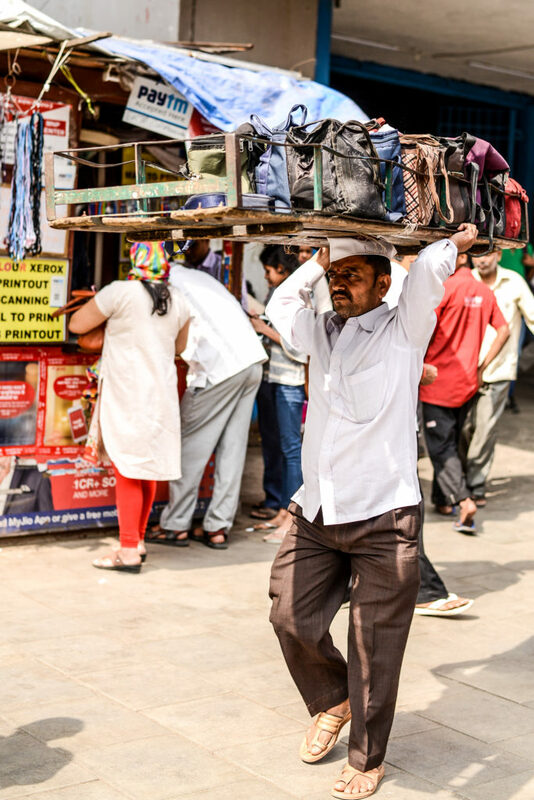 The Dabbawalla’s are the people in charge of delivering the food to the workers across the city at lunchtime. They normally wear white clothes so it’s easy to identify them and they use public transport. The effectiveness of the Dabbawalla’s is so outstanding that several important business schools have carried out studies about the way they are organized. It’s quite difficult to talk to them when they are working but I luckily spent some minutes with one of them. You can find his portrait and interview here. Dabbawalla carrying the lunches of several people at the Victoria Terminus railway station. En serio no te atreviste a coger el bus? Tu?? ?